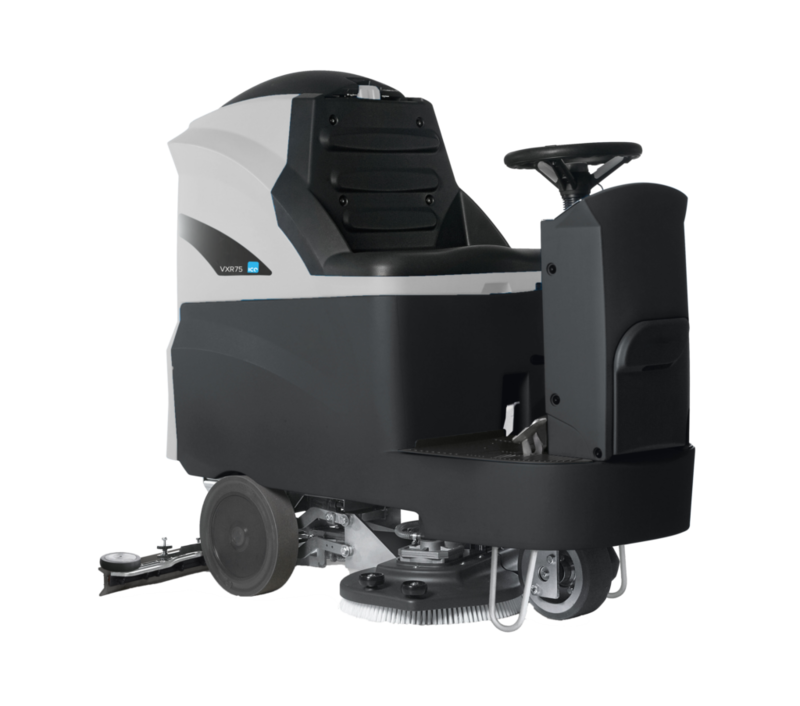 The VXR75 is a ride-on scrubber dryer that is suitable for the maintenance cleaning of floor areas up to 6,500 m2. It has automatic traction drive, a working width of 75 cm, and a run time of up to 4 hours. The turning circle allows the VXR75 to turn easily in corridors and aisles. In the event of accidental impacts, the automatic swing-in of the brush head, and uncoupling of the squeegee helps to prevent damage to the components.